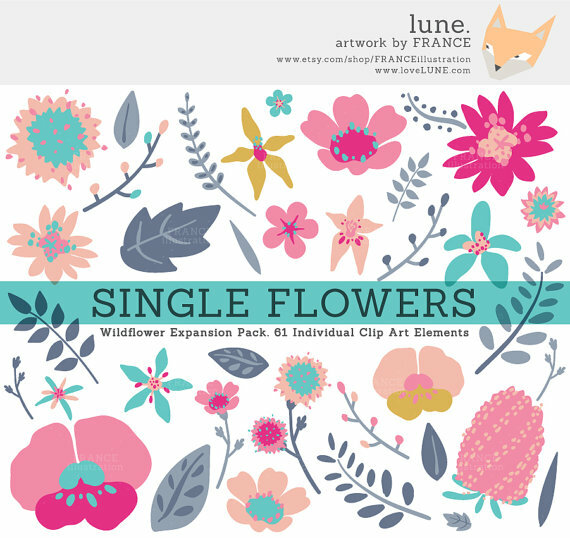 The wildflower clip art elements are some of our most popular designs! 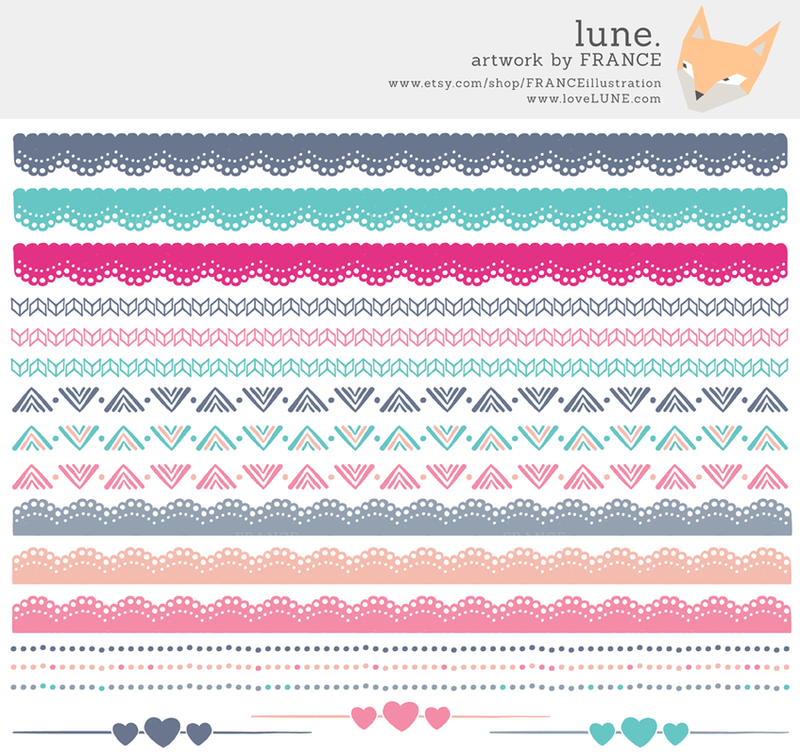 There are 7 different design packs, in three matching colourways: Seafoam Blue, Vintage Pink, and Painted Watercolor. These are great clip art sets for anyone who wants a little bit of everything. Perfect for invitations! 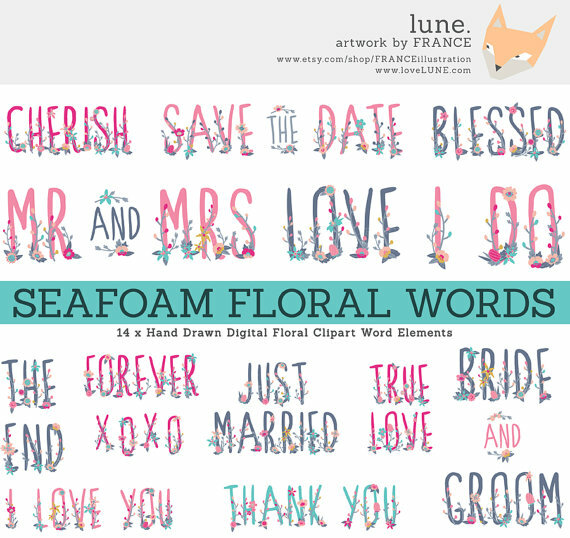 This is a Save the Date mega pack, featuring all you could ever need to create beautiful hand-drawn wildflower themed wedding invitations. 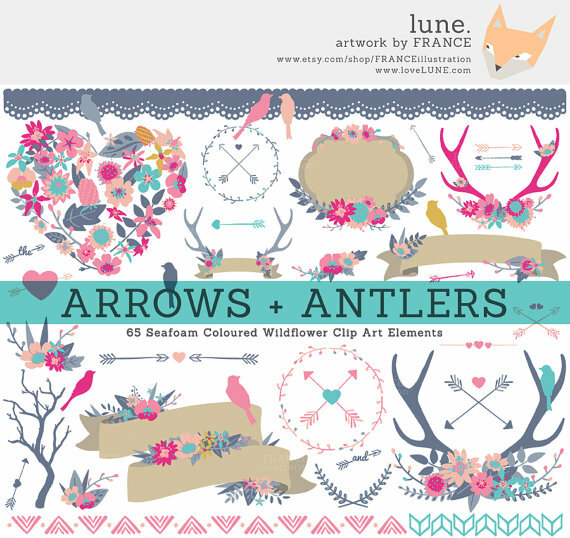 Flowers and antlers just look so good together. 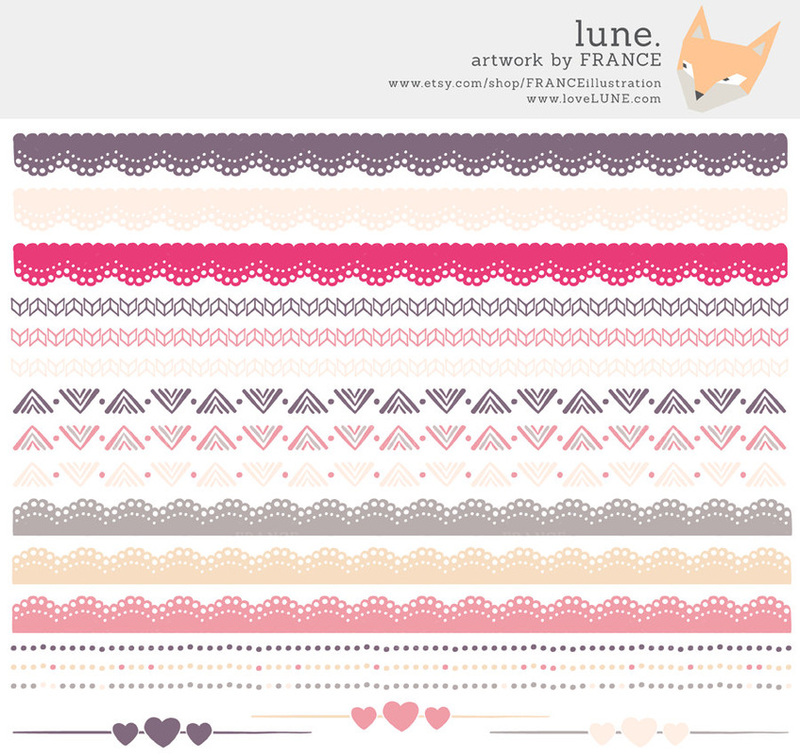 This pack contains all the trendy elements you could desire (perfect for web and blog design). 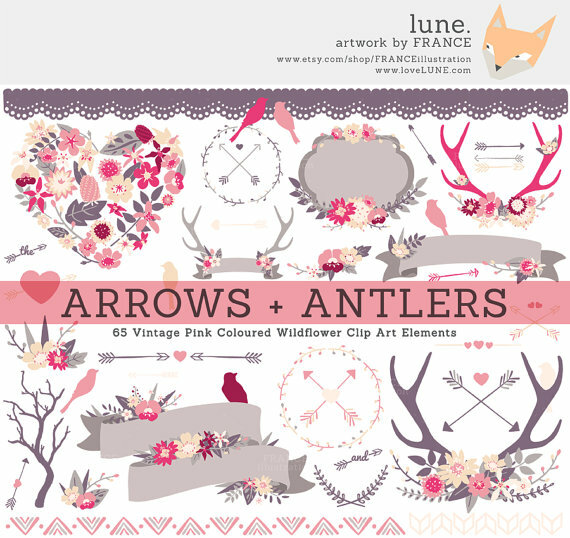 These decorative borders are part of the above Arrows + Antlers clipart packs, but we thought they were so beautiful they needed to be highlighted on their own! This set is perfect for creating your own individual floral designs, wreaths and laurels. 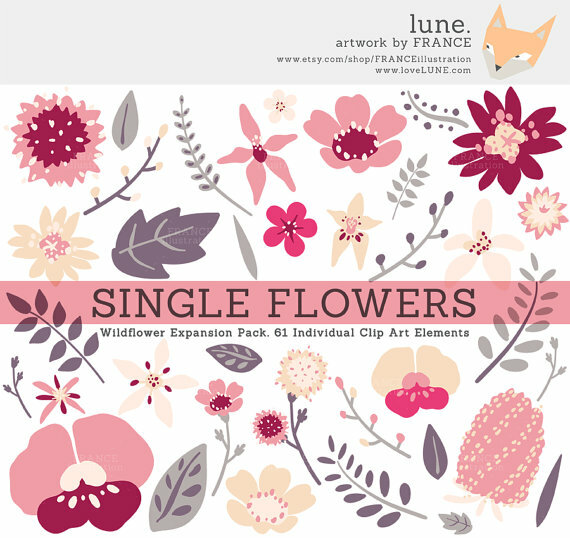 There are 27 individual floral banners in this pack! One to suit any and every need. • 11 x Floral embellished brown banners. 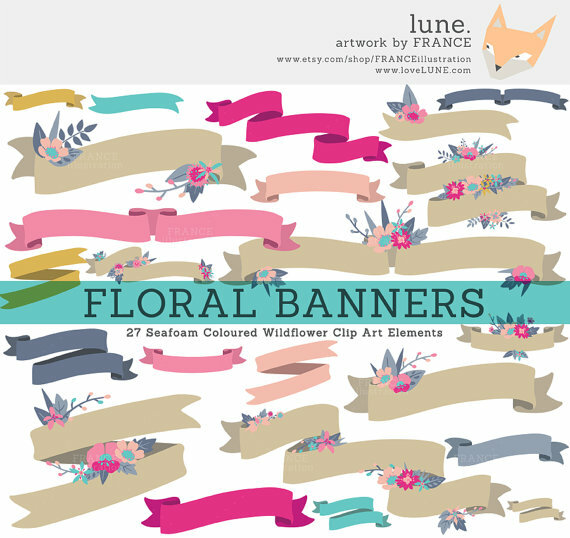 • 16 x Coloured banners that match other Wildflower sets. • 8 x Kraft Paper Brown Coloured Labels with floral embellishments. 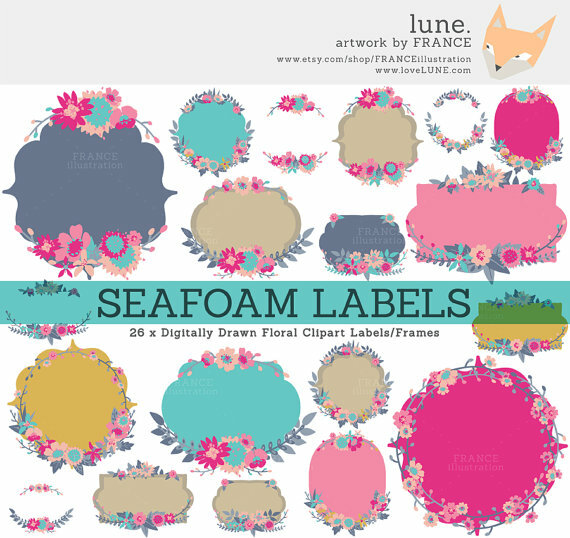 • 10 x Colorway themed Labels with floral embellishments. 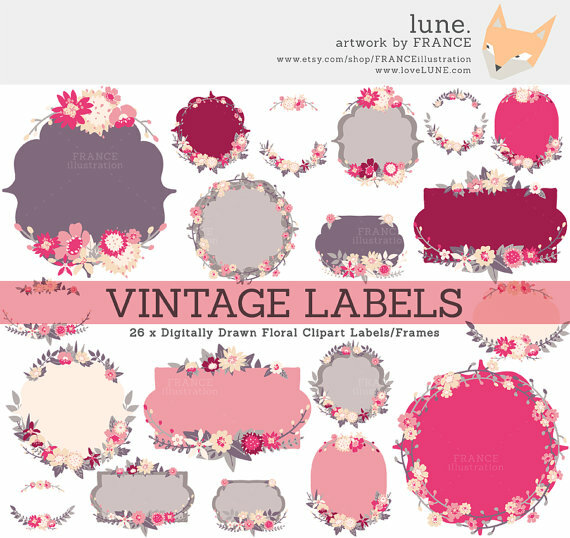 • 8 x White Labels with floral embellishments. 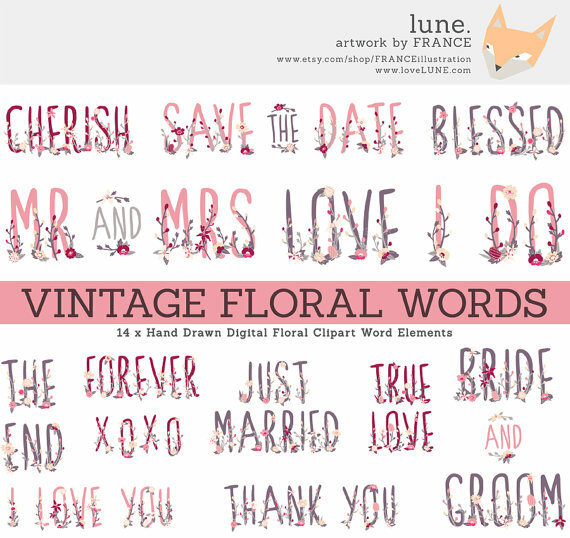 This is a clipart pack featuring decorated floral words in the 'Seafoam' and 'Vintage Pink' colourways. These can be used for wedding invitations, thank you notes, or even printed for wall art - whatever you can think of!